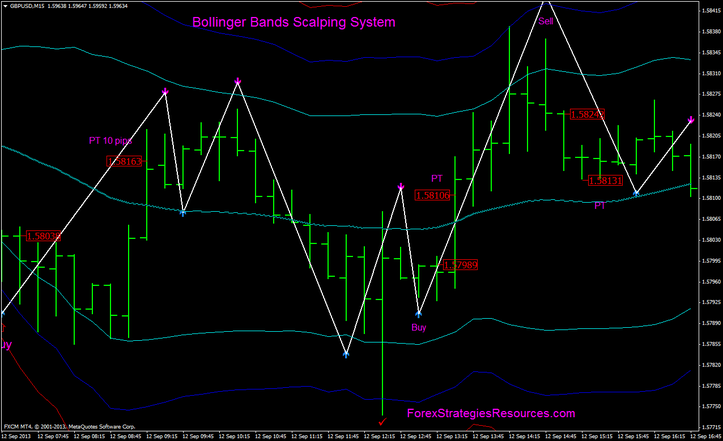 Bollinger Bands Scalping System is based on three bands. 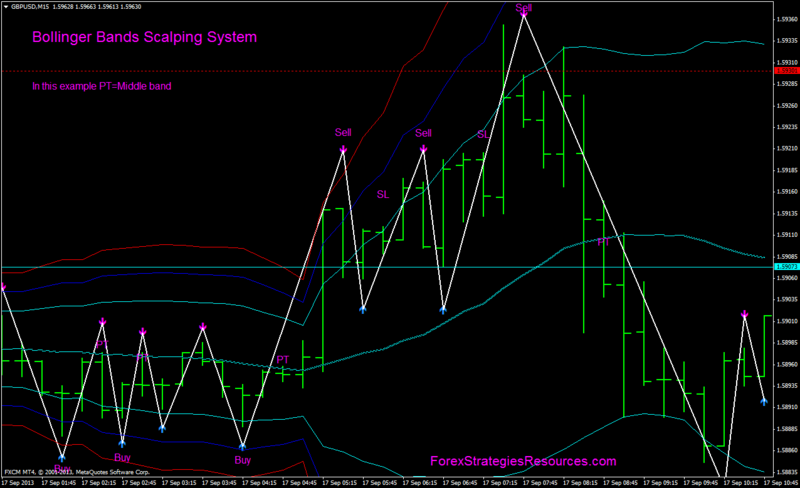 This is a reversal trading system that works also at the higher time frame. When the price bounce o breaks the lower bands, wait the first buy arrow and long entry at the open next bar. Exit with fast profit targe or at th middle band. Initial stop loss 2 pips above upper blue band for sell and 2 pips below lower blue band for buy. Note Do not exit at the opposite arrow. from 7:00 to the 21:00 GMT Berlin, recommended exit is fast profit target. In the pictures below Bollinger Bands Scalping System in action.